Why not buy a pre-war classic? – HubNut – celebrating the average! Why not buy a pre-war classic? While researching this week’s Morris Eight Buyer’s Guide for Classic Car Weekly, I faced some rather worrying truths. When you look at the age of owner when it comes to pre-war classics, none of them is what you’d call youthful. In fact, most seem to be firmly the older side of 60. Not that there’s anything wrong with being of that age – the only concern is, where are the incoming fans of these older classics? I myself love pre-war cars. They’re almost always hilarious and hugely entertaining to drive, often at speeds far below the legal speed limit. What’s the point in having 400+bhp on a public road after all? Or even more than about 100 to be honest. They weren’t wrong. I soon found myself pottering along at all of 30mph, grinning like a loon and weaving all over the road as I did battle with the super-sensitive-but-vague steering. You need an entirely different mindset for driving really old cars. The brakes are feeble, roadholding rather gentle and performance often lacking. My 2CV was starting to feel like a race car by comparison! The whippy gear lever has all the accuracy and control of a fairground grabber and the engine roars but doesn’t seem to deliver much power. It’s hugely addictive! I pulled over for a photo session and to allow my aching sides and arms some respite. This much fun should carry a much higher price tag. With the pictures completed, I tried to restart it. It wasn’t interested. After a few attempts, the starter just whirred quickly to a halt. I was forced to employ the starting handle. Incredibly, it worked! I suspect the battery was long past its best. With the engine running once more, I quickly hopped aboard and tried my best not to stall. That’s quite tricky to avoid in a Seven as the clutch pedal has a movement of what feels like millimetres. Most clutch pedals have more free travel than the entire action of a Seven’s. I made it though, found my way to top gear and weaved the car back to its temporary home. Sadly, I now live in a very hilly part of Wales, so the idea of owning something quite so feeble is not entirely desirable. If you live somewhere a little flatter though, I thoroughly recommend having a dabble with a pre-war classic. After all, there are lots out there and they’re great fun. They’re often stupidly simple to work on too, as the assumption was that the owner would always be indulging in home tinkering. 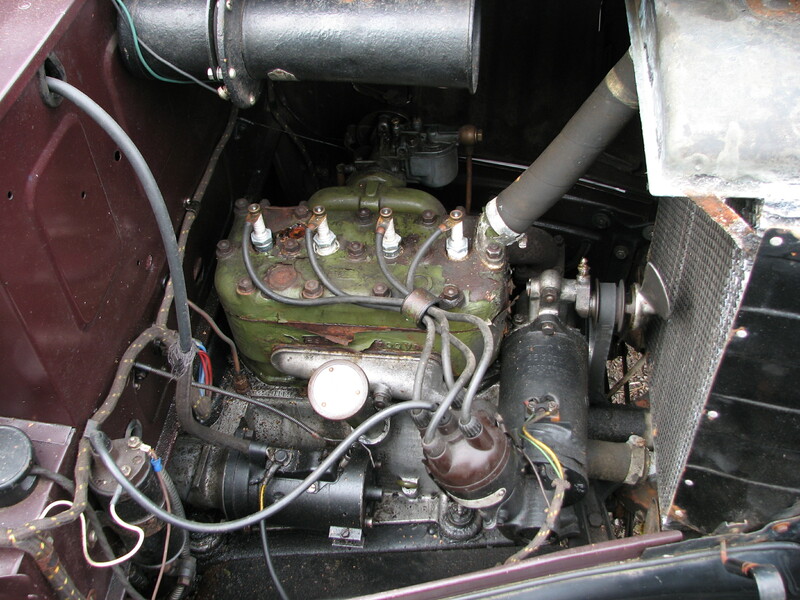 One Morris Eight owner told me he’d changed a head gasket roadside after blowing it while on the Continent! Oh, and don’t assume pre-war cars aren’t fun to chuck around either. The Vintage Sports Car Club members love showing what older classics can do! PS – one annoyance is the common use of the word ‘vintage’ to describe classic cars. 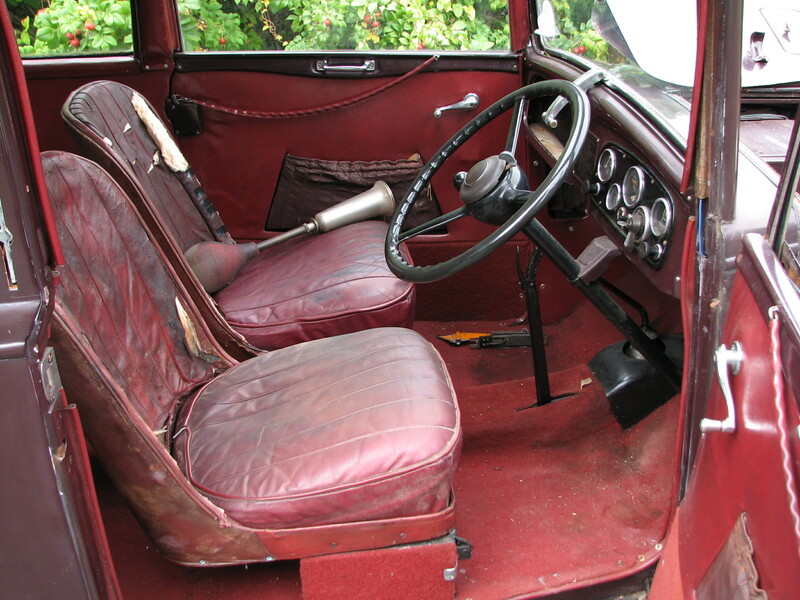 Vintage cars are specifically those built between 1919 and 1930. 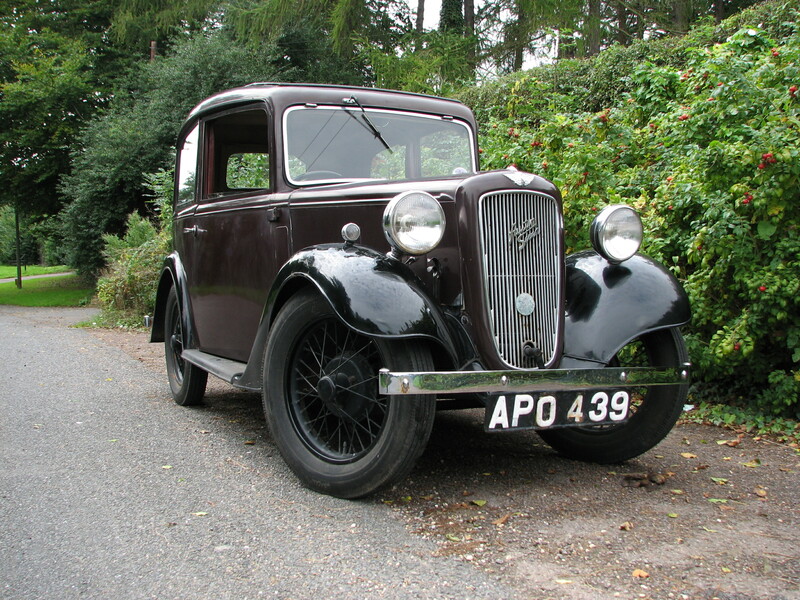 The Austin Seven Ruby therefore is not vintage, as it was launched late in the Seven’s production run, in 1934.